“No Sushi, No Life,” reads a blue and red neon sign just off the corner of Calamba and Banawe street. Behind the glass wall from which it hangs is a restaurant that lays proof to the bold statement. Oomori began as a food stall in Arca Yard Food Park in Valenzuela City. 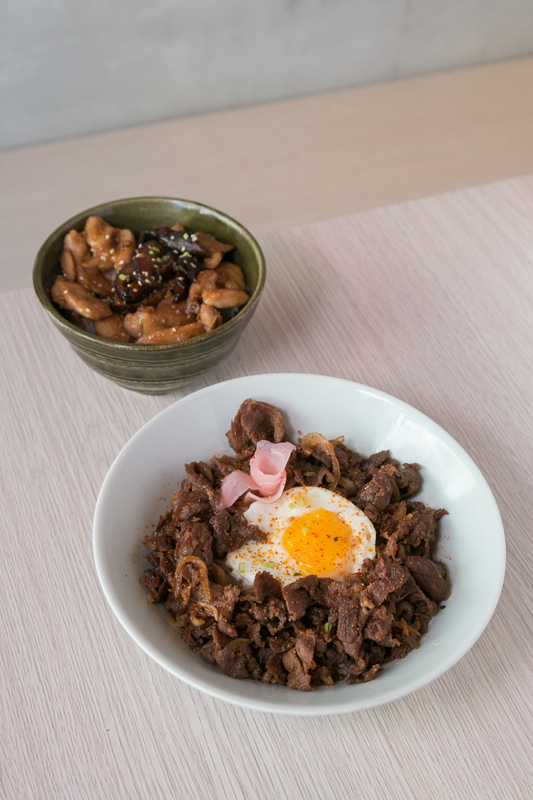 With its new headquarters along the famous food strip of Banawe, co-owners and brother-and-sister Blizzeth and Wilbert Lee are now testing the waters by making Oomori a full-fledged Japanese restaurant offering classic and trending dishes from the Land of the Rising Sun. 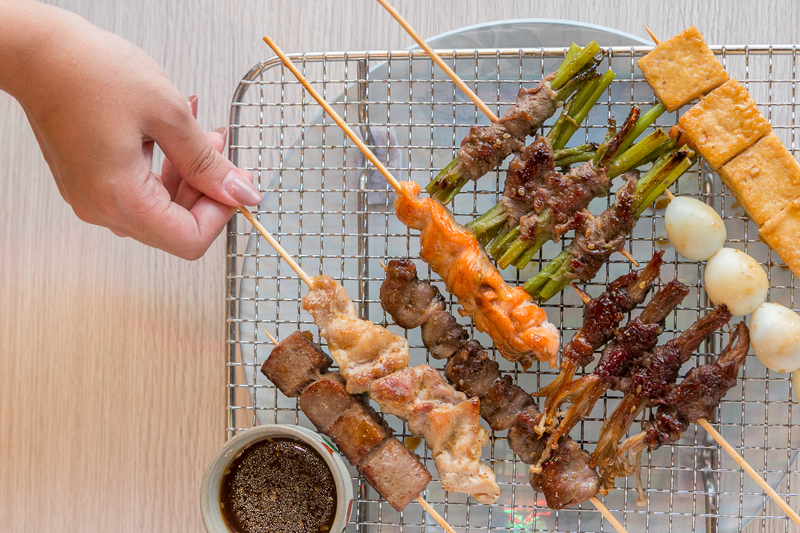 Coined after the Japanese term for big servings, the Lee siblings’ restaurant lives up to its name through a menu brimming with flavor and color. They’re serving up fresher than fresh sushi, sashimi and nigiri, filling and original chirashi bowls, handy temaki, and more. For the “sushi” lovers out there, we would recommend their salmon with uni nigiri aburi and their salmon wrapped maki with truffle oil aburi. The salmon with uni nigiri aburi is a three layered nigiri made of uni, salmon, and sushi rice. It gives you that sharp raw flavor sushi and sashimi lovers look for in a bite, and it’s the prime example of the quality, fresh ingredients the Lee siblings use in their restaurant. The uni on top of the salmon is rich and creamy, melting in your mouth almost like butter. The salmon wrapped maki with truffle oil, on the other hand, demonstrates the more contemporary experimental dishes that the restaurant offers. The center of this sushi is made up of togarashi, nori, kani mix, and truffle oil, which is then held together by a slice of salmon on sushi rice. The whole roll is topped with Japanese mayo, and then torched. 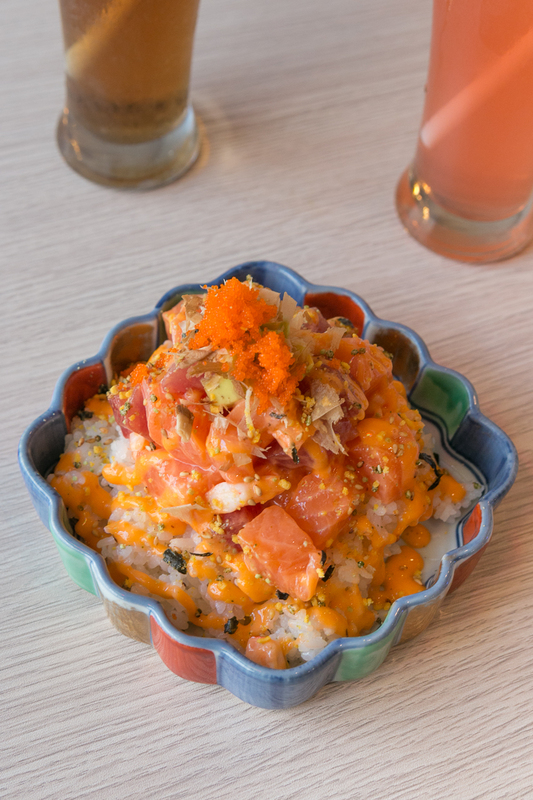 Speaking of more experimental dishes, another must-try from the restaurant are their chirashi bowls. 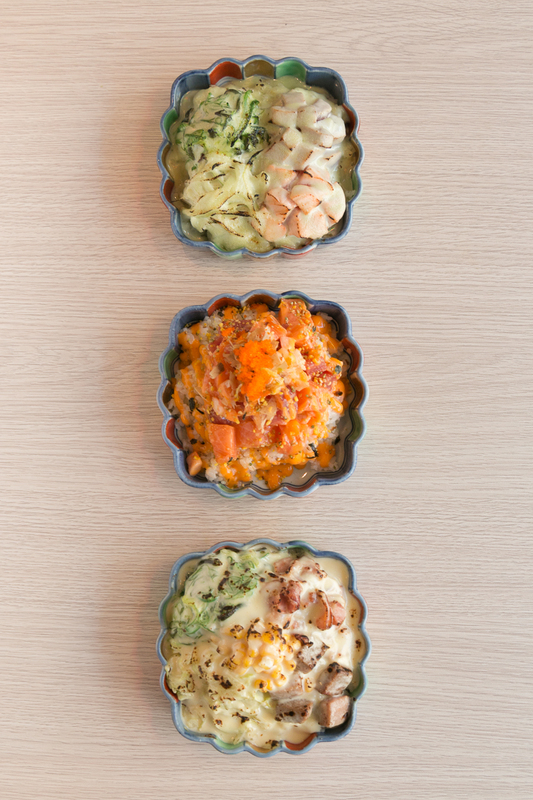 There are three variations: Oomori’s chirashi bowl, wagyu-bacon chirashi salad, and wasabi melt chirashi bowl. 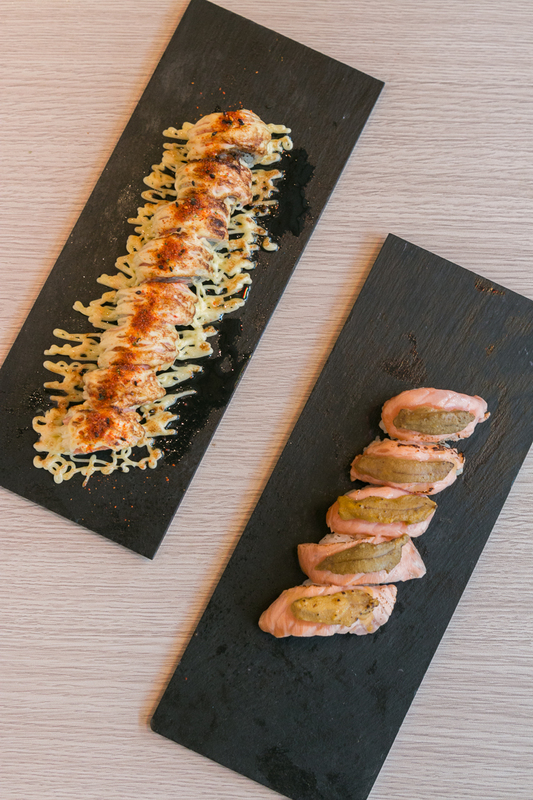 The wasabi melt is ideal for those who enjoy the draw of wasabi minus the tear-inducing spiciness. However, what caught our eye and attention the most was the Oomori chirashi bowl. It’s sushi rice topped with salmon, tuna, shrimp, avocado, furikake, bonito flakes, ebico, and Oomori’s original chirashi sauce. 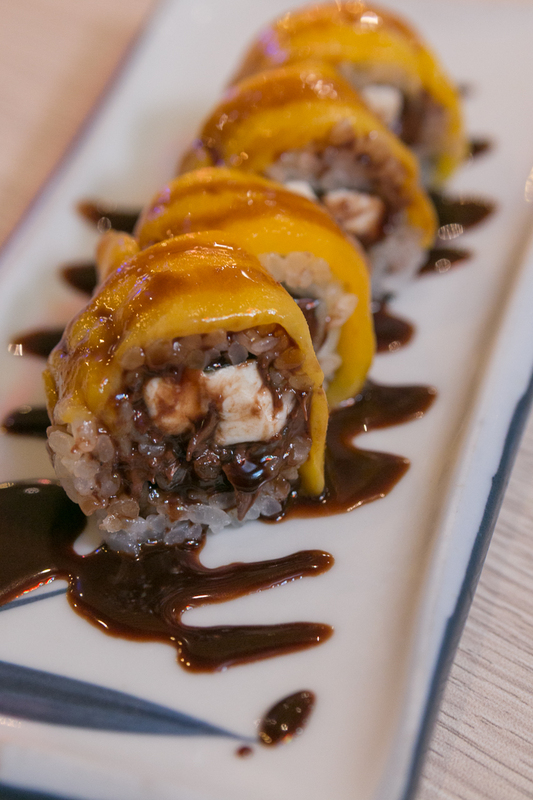 If you want something of novelty, might we suggest you try their sushi donut and hamburger. Yes, just like the ones you see in videos online. 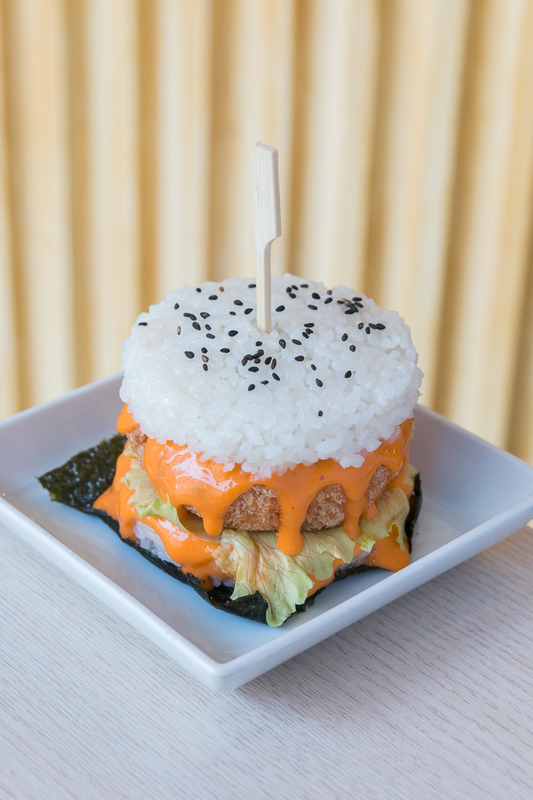 Oomori’s sushi burger is made up of fresh salmon patty, burger sauce, and sushi rice buns. It looks moderately sized, but is actually quite filling. 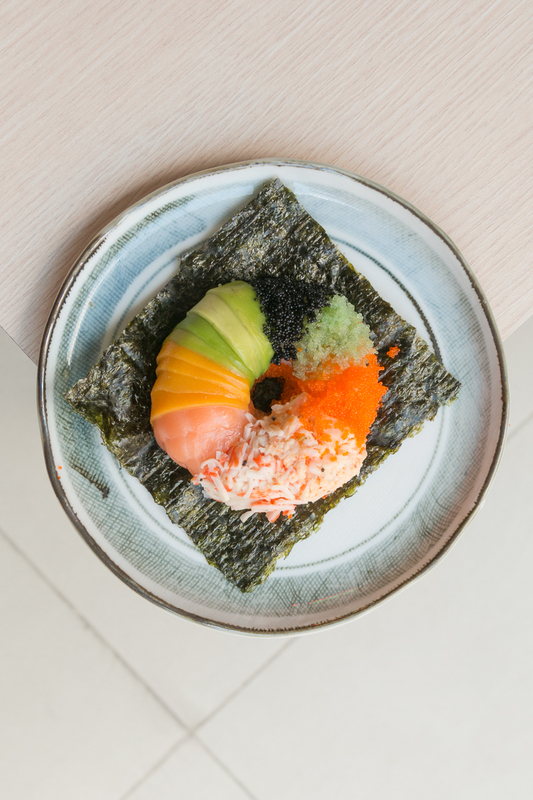 Their sushi donut has more colors with salmon, avocado, mango, and shrimp wrapped beautifully around a donut-shaped sushi rice base. 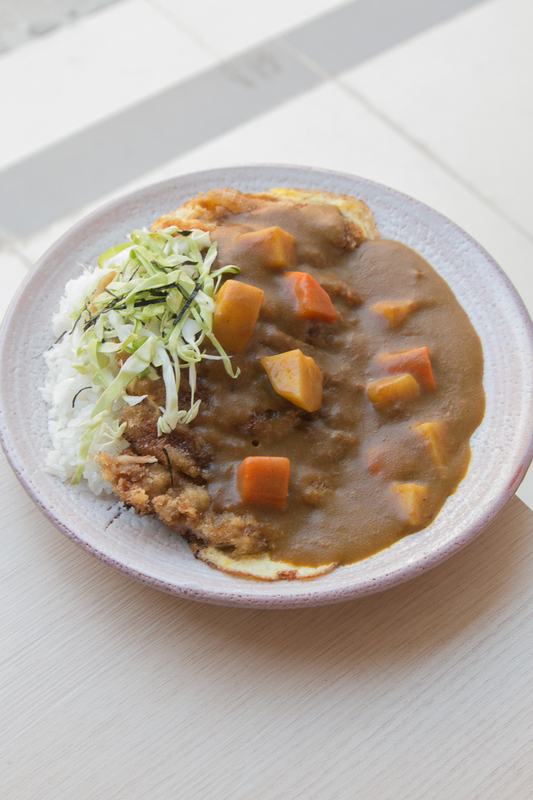 For the less adventurous creatures of habit, Oomori also offers some familiar favorites like shrimp tempura, chicken teriyaki, katsu-curry, and okonomiyaki. Brother and sister Willbert and Blizzeth Lee held nothing back when creating the menu for Oomori. 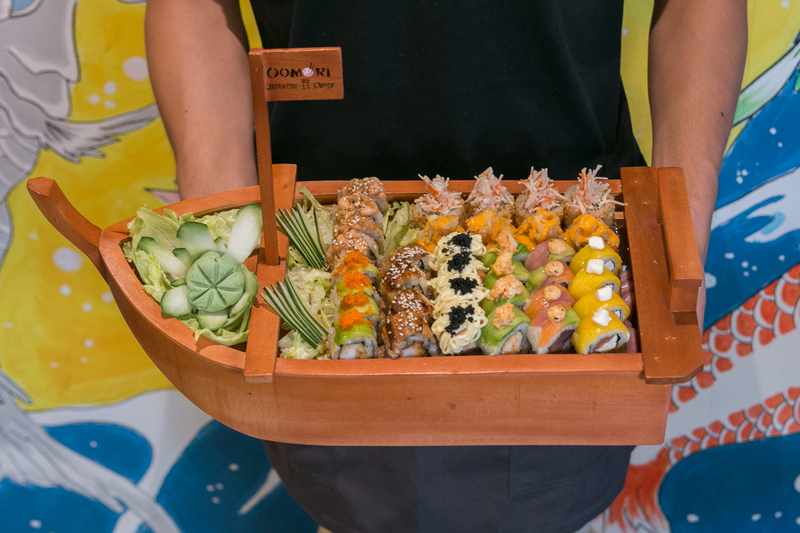 Whether it be by their experimental sushi burgers and chirashi bowls, or traditional katsu curry and shrimp tempura, they’ve painted the picture of a life all about sushi and a holistic love of Japanese cuisine.